General Santos City – To empower and unite the world with kindness. Life Vest Inside inspires people to see the amazing and wonderful potential they have to make a difference in the world through simple yet powerful Acts of Kindness! And on its 3rd Annual World Kindness Day, Life Vest Inside is organizing and including two key cities in the country to be part of this year’s worldwide celebration, namely: Quezon City and General Santos City. This event will mark the launch of World Kindness Week, promoting kindness, compassion and empathy. 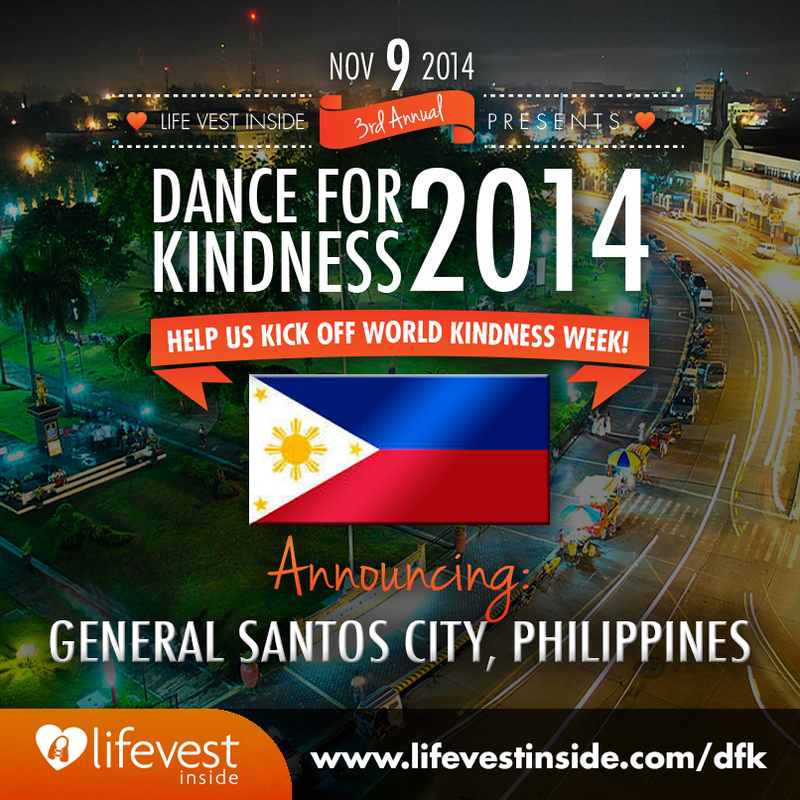 On November 9th, countries from around the globe will unite to dance under the banner of kindness. One Day, One Dance, One Heart! The purpose of World Kindness Day is to look beyond ourselves, beyond the boundaries of our country, beyond our culture, our race, our religion; and realize we are citizens of the WORLD. Life Vest Inside has taken the words of Margaret Mead to the next level reminding people that a small group of committed DANCERS can change the world as well. If you would like more information about Life Vest Inside or the World Wide Dance for Kindness, please visit www.lifevestinside.com or contact us through hglb88@yahoo.com or mobile number +639229425250. And don't forget to watch last year's Dance For Kindness!